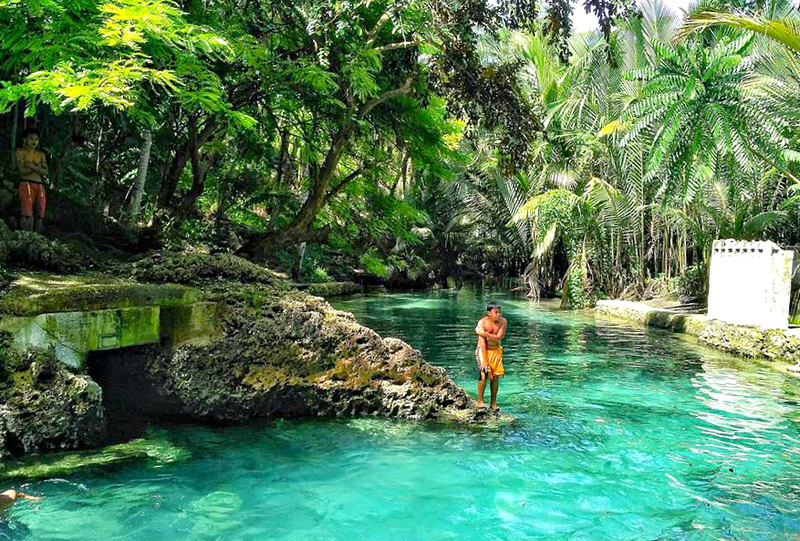 Liki Spring in Argao is a cool place springing up from the bowels of Argao’s green forest. The site of the spring is not commercialized, and so it is not crowded and busy as it is merely a small place. 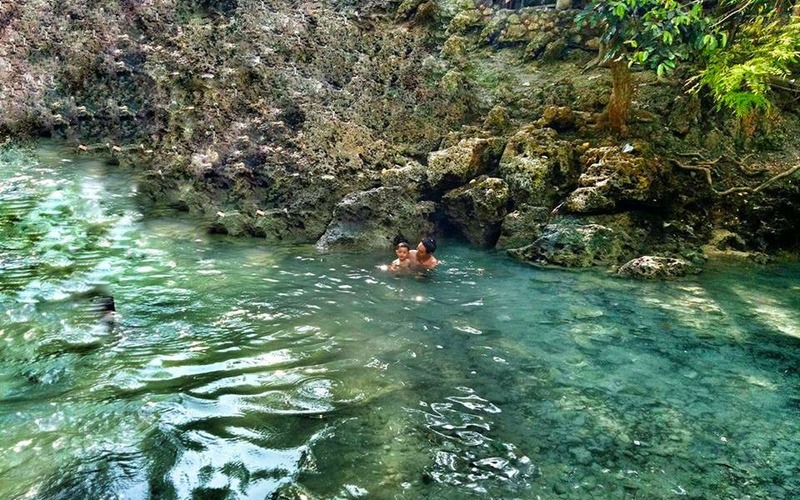 Liki Cold Spring is springing in Barangay Taloot of Argao Town. The spring is known to be the old ones first discovered in the southern part of the Province. Liki supports the locals as a source for drinking and another usage for their daily lives. Above all, it is one of the famous tourist destinations in the area which was declared through an ordinance passed in 2016 among the twelve sites named. ‘Liki’ can be transliterated into the English language as ‘crack’ or ‘break’ from Cebuano language. The gushing cool water of the spring is coming from the ‘crack’ of the rock. No, this is not a hot spring, which sometimes you can find in some places in Cebu as well (such as Esoy Hot Spring, etc.). Apparently, the spring is excellent and refreshing for those who want to dip in and cool down, really cool down during summer time as it is quite cool. Locals come to dip in regularly, and visitors from different parts of the province come to have a picnic and enjoy its refreshing water. Since this is a free spring, everyone can come and swim in - a great activity which is being done regularly by many living the area. Besides a source of the locals’ potable water and travel destination, Liki Spring also serves the jump-off center for trekkers to Tiposo Peak (thought to be an extinct volcano located a few kilometers from the spring). It must be a perfect site to start fresh right before heading to the mountain to sweat out with nature. To make it a little easier and comfortable for visitors, some basic structures are built nearby the cool waters of the spring area. Indeed, changes will come, and much better facilities will be established, and hopefully, it would alter its natural beauty. Argao Municipality and its town are famous in the province for its heritage – a historical and physical background from the Spanish period. Such heritage treasures include structures (buildings, church, municipal hall of justice, baluarte or watchtower, etc.). The town center is with a plaza that offers a relaxing space not only for its residents but also for all visitors and travelers of the town. Aside from a destination for its heritage, Argao is also proud of its local delicacies and food products. Argao is known for its Torta, which is, in fact, is celebrated annually through its Torta Festival featuring various sorts of tortas. Also, the Municipality is home to snack products such as peanut browas, butterscotch, and toasted mini mammons. If you are coming from Cebu City, your short journey to the spring can commence at Cebu South Bus Terminal. Once at the terminal, it should not be difficult to spot signs for buses going to Argao’s direction. You may choose from an air-conditioned and non-airconditioned bus. The bus from this terminal to Argao town proper will run for about two and a half to three hours at most. However, no need to worry about getting bored as you will enjoy the views of the mountains and seas and beaches along the way. From the town, simply look for a motorcycle that will bring you to Barangay Taloot where Liki Spring is waiting for your visit. The following quotation is from the Cebu The Queen City of the South at facebook. It is publicly available, and so I thought it is all right to include it here. I think that his comment is not something that we should worry about. The spring is natural and it should remain so. Therefore, any sort of ‘development’ might be not suitable as it will cause changes to its natural beauty. As long as it remains cool, clean and fresh, Liki Spring will always be a place worth visiting. Thanks for reading and enjoy your travels!